NoniGPSPlot saves the path you have traveled, locates your position in relation with other GPS points, manages alerts, and many other things. A layer you can see the old course in the background. 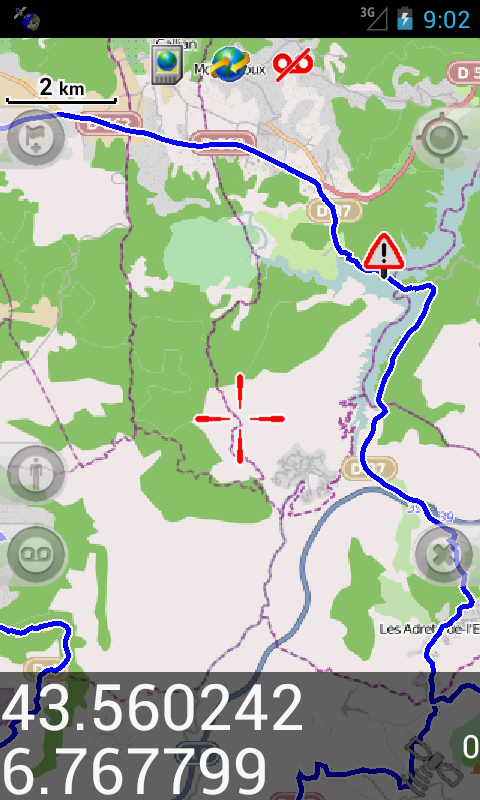 Maps can be downloaded directly from the Internet if you have access from your smartphone (GoogleMap cards, YahooMap, VirtualEarth and OpenStreetMap few layers) or in advance.